To commemorate Peter Higgs' 80th birthday, on 29 May 2009, a celebration was held in the Informatics Forum at the University of Edinburgh on 10 June 2009. 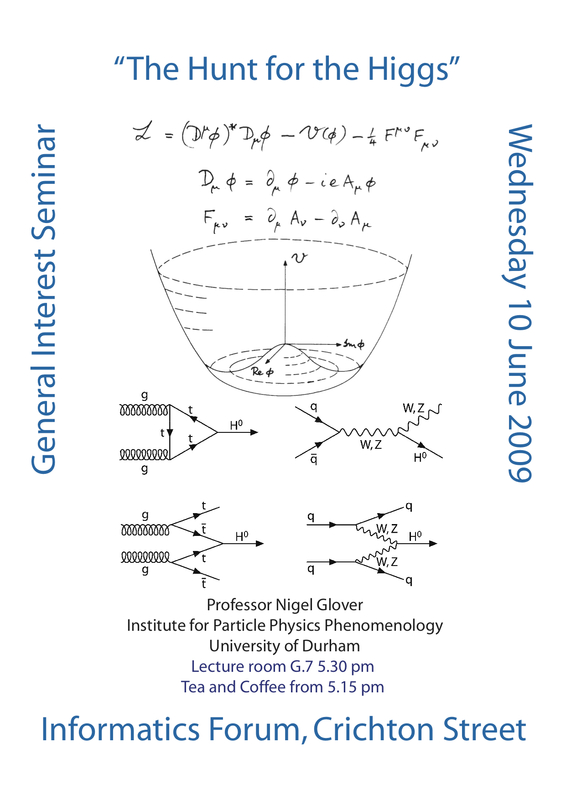 Professor Nigel Glover, of the Institute for Particle Physics Phenomenology at the University of Durham, gave a General Interest Seminar entitled 'The Hunt for the Higgs'. This was followed by a reception at which Peter was presented with a specially prepared birthday cake. Poster for Seminar at 80th birthday celebration. Professor Nigel Glover of the University of Durham gave a seminar 'Hunting the Higgs' on 10 June 2009 part of the celebration of Peter Higgs' 80th birthday. The poster was prepared by Alan Walker. 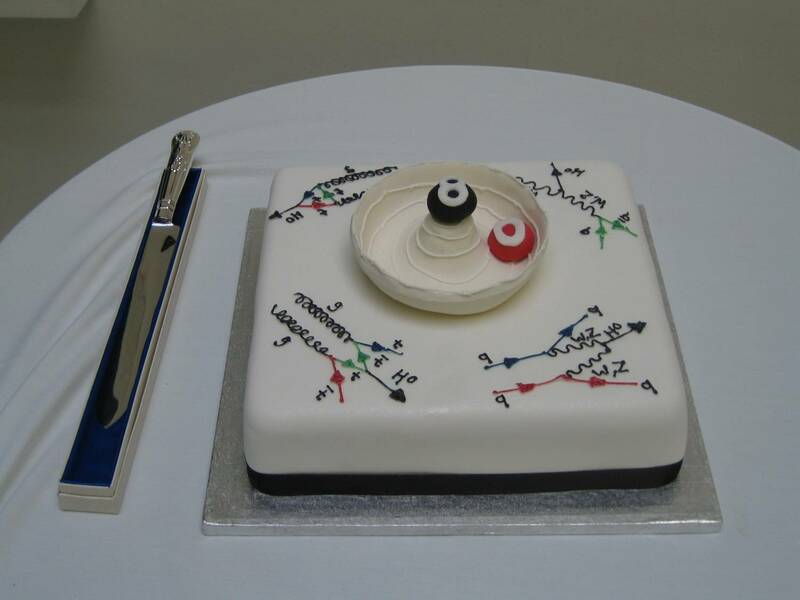 Peter Higgs' special 80th birthday cake. This special 80th birthday cake was presented to for Peter Higgs by his colleagues in the Particle Physics Theory & Experiments Groups. The cake was made by Have Your Cake and Eat It in Strathearn Road, Edinburgh. 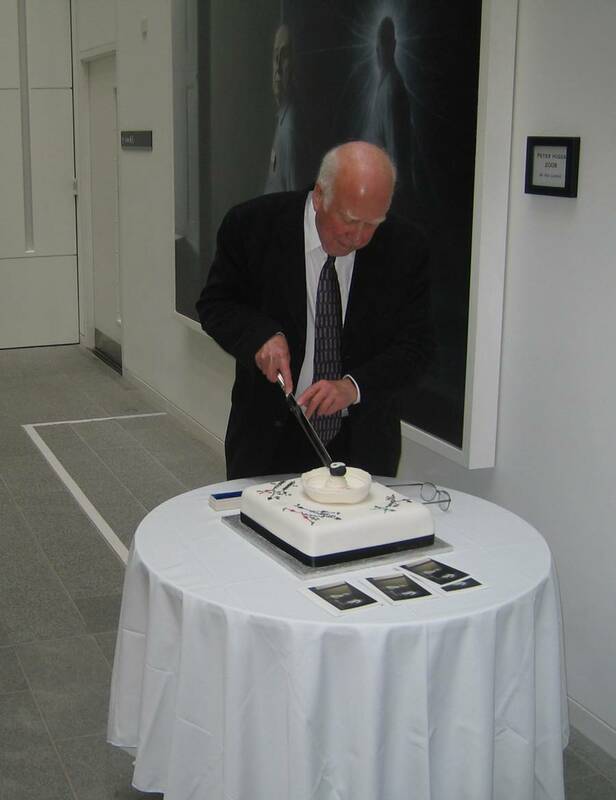 Peter Higgs cutting his 80th birthday cake. Peter Higgs and Ian Chuter, fellow King's College London undergraduates. 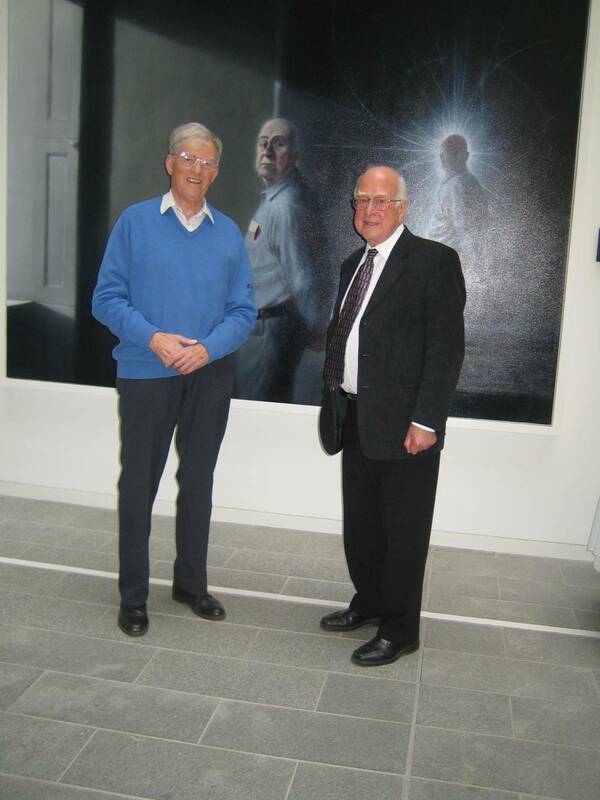 This shows Peter Higgs meeting Ian Chuter, a fellow undergraduate at King's College London. Ian was in the Informatics Forum by chance on the same day. These photographs are courtesy of Ian Chuter. This article was last updated on Dec 15, 2011 .